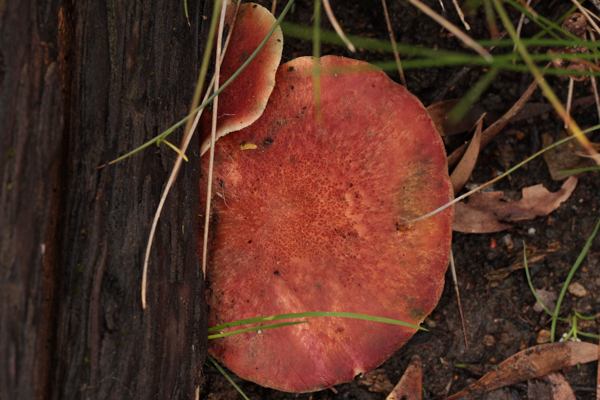 On dead wood of a variety of tree species. 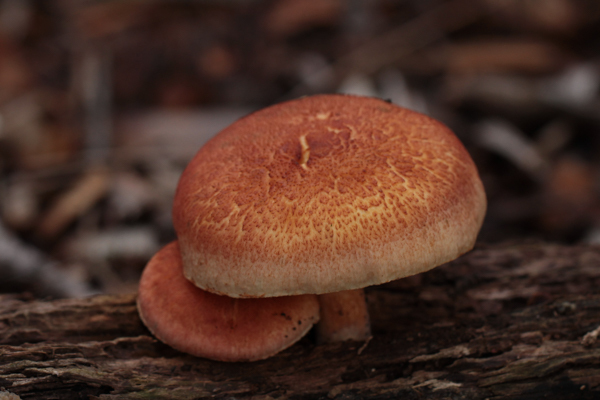 This large fungus usually forms spectacular golden-brown clumps. 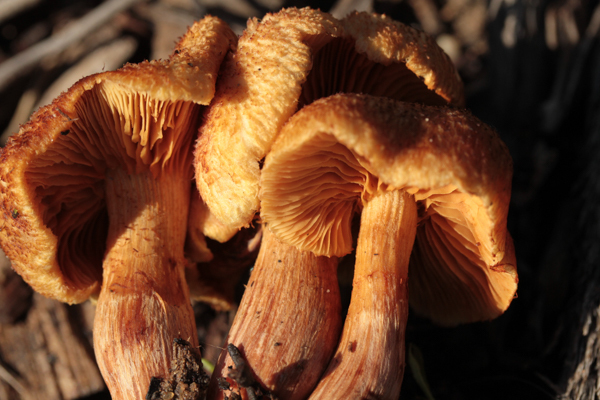 It has gold caps, gold stems with a high ring, yellow to brown gills and rusty-brown spores. Generously sponsored by Bettye Rees.